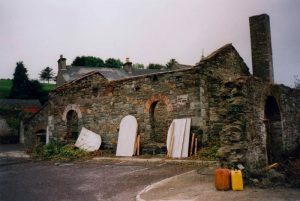 Skibbereen Heritage Centre opened in 2000 as a result of a co-operative venture between Cork County Council, Skibbereen Urban District Council, OPW and Dúchas. Dúchas drew down funding for the project under a ERDF grant and the OPW architects designed and co-ordinated the restoration of the Old Gasworks building. Cork County Council provided the site and has proudly supported Skibbereen Heritage Centre since its opening. 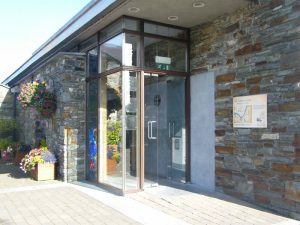 Skibbereen Heritage Centre has two primary exhibitions – one on the Great Famine, the second on Lough Hyne, and also provides a genealogy service for the greater West Cork area. Skibbereen Famine Committee was a key driver in the establishment of the initial Famine exhibition, supported by Skibbereen Muintir na Tíre. Since it opened, Skibbereen Heritage Centre has grown and developed its exhibitions with the support of the Ireland Funds, LEADER, The Heritage Council and Cork County Council. It has commissioned a TV documentary, published books and created a walking trail app of the town and has welcomed many thousands of visitors to Skibbereen. It has also created a database of over 350,000 genealogy records, many of which are accessible on our genealogy page.